The start of a new month is often filled with a certain kind of excitement—for us at the Sauce HQ that means sharing our monthly favourites with our readers. 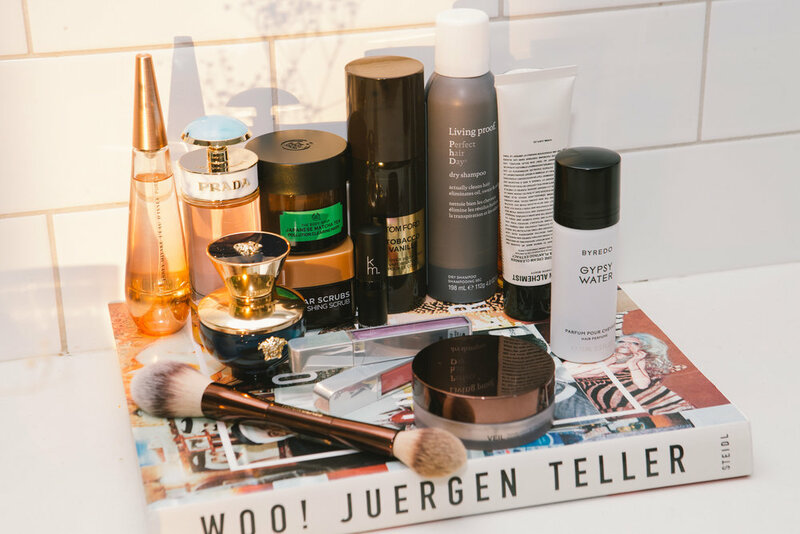 So here it is: all the products we’ve loved, obsessed over, and thanked the beauty gods for in the whole month of April, and some of May. Enjoy. This brand from down under has swept us off our feet with their gentle and moisturising cleanser! The Hydra-Restore Cream Cleanser has active ingredients in it such as Olive leaf and Plantago extract, which are both highly renowned for its anti-ageing and soothing properties. This is absolutely perfect for gals (like ourselves) who like to double cleanse, as it won’t dry you out. Also, it’s organic and completely free of nasties! 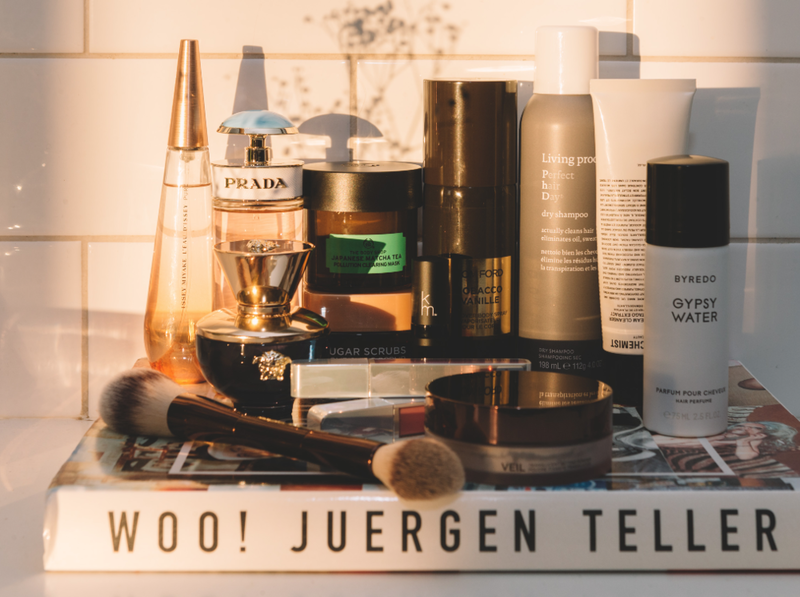 It seems that oils are the new staple in skincare, and if you’re the kind of person who just can’t do oils but still want the same hydration it offers this is what you need. The Clarins double serum claims to decode the language of youth, and comes in dual-phase hydric and lipidic anti-ageing treatment. After using this product for a month, we visibly noticed are skin become brighter and more radiant. A definite must-try for anyone keen on youth-preserving products that help amp up the glow! Next time you schedule a mini pamper session for yourself, don’t forget to include sugar scrubs into the mix, especially these one’s from L’oreal. We are super impressed with how smooth the scrub made our skin feel (particularly the Grapeseed one) after rinsing it off. The beads are effective but very gentle on the dermis. Also, the Cocoa Butter flavour which leaves a film of moisture on the skin after rinsing, would be perfect for the colder months. Bubble baths and face masks are what kept us busy during the rainy April days. And one facemask that really stuck out among the rest is the Japanese Matcha Tea Pollution Clearing Mask. It has a cooling sensation on the skin when applied (almost tingly) and leaves the face feeling super refreshed. It’s the perfect pick-me-up on a gloomy day. Here’s a spritz of nostalgia for all you 90’s gals! The latest edition of the iconic Issey Miyake fragrance, L’eau D’issey Nactar features the classic aquatic nature scent and notes of purest sweet rose combined with honey pear and creamy sandalwood. So if you’re a 90’s baby (or just an avid fan of the decade) who loves a fresh zesty peachy fragrance, we highly recommend this! 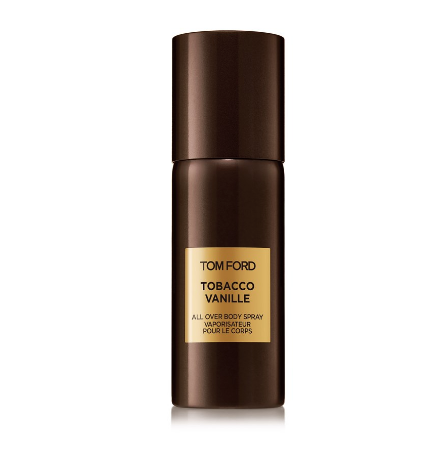 Tom Ford body sprays are truly the next best thing since sliced bread. Here’s why: 1. The tobacco base and notes of vanilla make the perfect blend of smoky, sweet and slightly spicy scent (which if we may add, smells better the longer you wear it) 2. The packaging is straight forward and fuss-free which makes it super great for travelling and lastly, 3. This line is a cheaper alternative to the full bottle so you’re saving coins and smelling great while doing it! 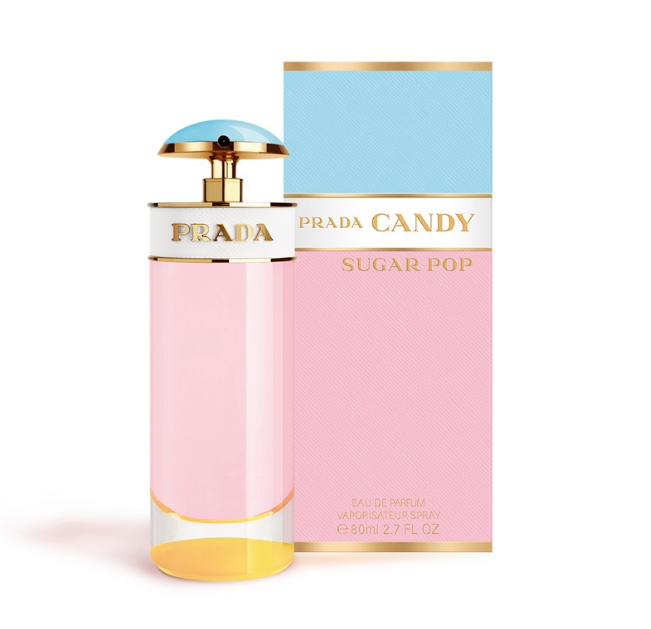 The latest release from Prada's Candy Collection is Sugar Pop. Combining notes of white peach, green bergamot, red apple and citrus. This fragrance is soft, floral and zesty! We love the fact that it isn't over-powering, it stays pretty close to the skin, which means it perfect for cold winter months when there isn't much air for the fragrance to settle in. It's subtle and delicate. But, the best part? The bottle! Inspired by Prada's Saffiano bag in shades of blue, yellow and pink. Available at Farmers, Smith & Caughey's and Life Pharmacy from 27 May, NZ $162 FOR 80ml. This month we went gaga for gloss and we regret nothing. The Hi-Fi Shine lip gloss from Urban Decay is honestly all you need to rock the glossy glittery trend this season. It gives the lips the most beautiful shine and, most important of all, feels really comfortable to wear. We’ve also tried putting it on our lids and it still looks amazing! It comes in a variety of shades that will suit any skin tone so take your pick and start glossing. If you haven’t heard of Karen Murrell, they’re an exclusive lipstick brand that offers natural base and organic products, from the box packaging down to the ink used to print the label (which is vegetable-based printed on sustainably sourced paper by an FSC-certified printing company). This is the ultimate guilt-free no nasties line we could think of, and the best part is, they’re products are actually amazing. Our fall favourite is the Natural Lipstick in the shade Scarlet Blaze, a berry-toned lipstick with a pink undertone perfect for the colder months. If you love the Hourglass Ambient Light line, then we’ve got some great news: imagine the effect of the Ambient Light, in finely-milled loose powder form. It gives the skin a beautiful light-reflecting radiance and mattifies the skin almost mimicking a velvety texture. 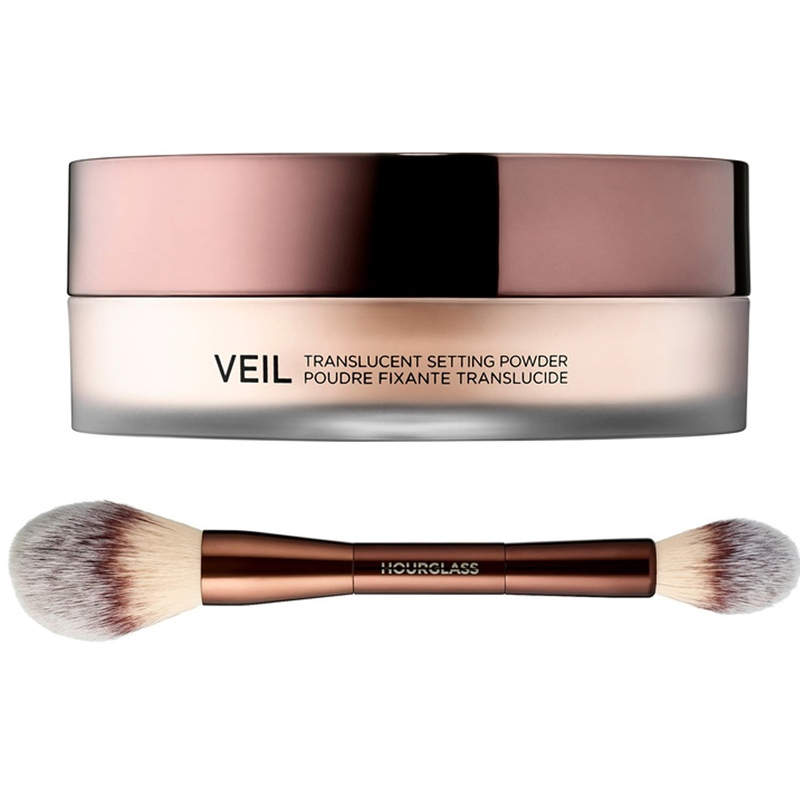 We love applying this with the Hourglass dual-ended brush as it fits perfectly under the eyes and the soft brush bristles make for perfect and even application. Soon to be available at MECCA NZ. A little glimmer on the lids never hurt nobody! The Bobbi Brown Longwear Sparkle Stick is everything a girl needs for that pop of shine. It applies so smoothly on the lids, like warm butter on hot toast! It gives out the prettiest iridescent effect on the lids, and doesn’t sink into the any creases. Available at Smith & Caughey's & Bobbi Brown stores, NZ $60, available in eight shades. Calling all ladies who have no patience to put on eyeliner: Elizabeth Arden came through for us gals. 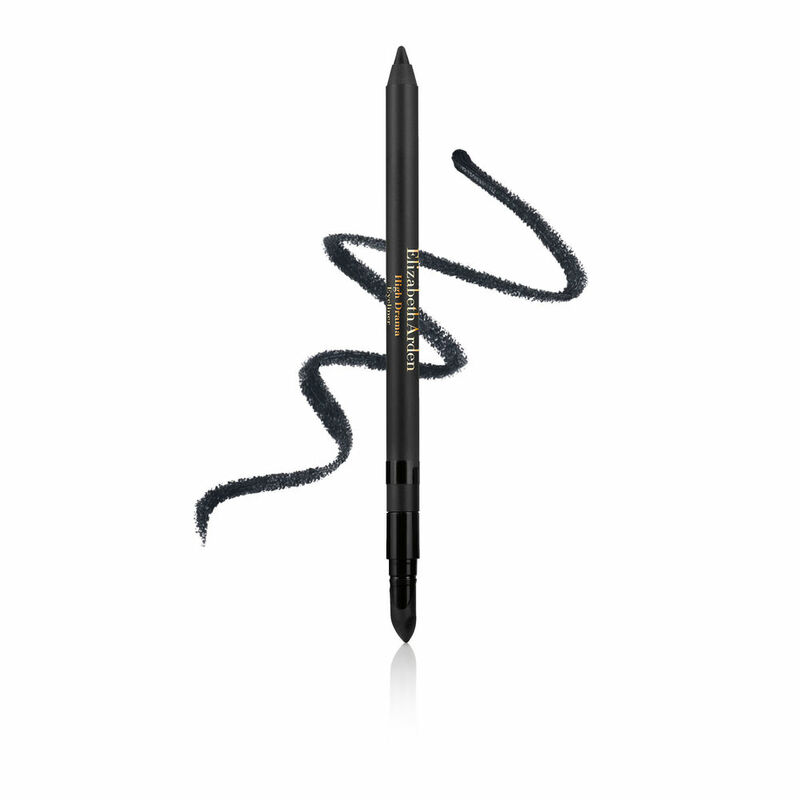 The High-drama eyeliner comes in a dual-ended applicator which makes smudging and cleaning up liner a walk in the park. The product itself glides on so smoothly on the lids (no-tugging at all) and has an impressive staying power. Available at Farmers, NZ $49, available in six shades. Our drugstore favourite this month goes to the L’oreal Infallible Gel Crayon. For days when we want a pop of colour in our eyes, without having to spend ages on eyeshadow this was our best friend. We’ve especially loved the shade I’ve got the blue as an eyeliner, (or even smudged out under the lashline). Perfect colour pay off that doesn’t budge! What more can we say? Does the job, and does it all kinds of right! We know our April favourites were a few days late, but to be fair it was only because we had so much stuff that we loved, it took us ages to pick out the BEST of the best. We’re always on the hunt for new beauty buys, so keep us on the loop on stuff you’re loving by tagging us on Insta @sauce_mag! Till next month! A simple, straight-forward approach to caring for your nails at home from a reformed “DIY nail care” skeptic. Products we are loving this season and can’t stop talking about!